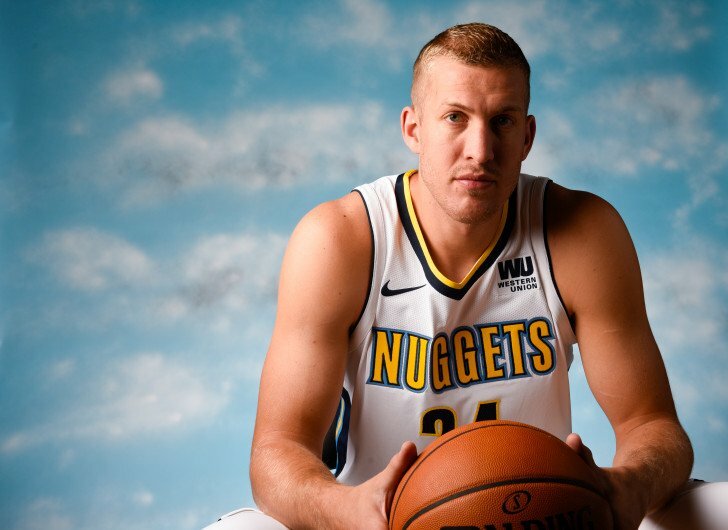 Coaches and teammates laud Plumlee — who arrived in Denver at the trade deadline in the deal that sent Jusf Nurkic to the Portland Trail Blazers — for his combination of strength, athleticism and intelligence. He can facilitate from the post, helping Denver’s high-powered offense continue to hum when Jokic goes to the bench. He’s used to playing aggressively against the pick and roll, an emphasis as the Nuggets aim to improve defensively overall. And he is hoping to set an example for the younger players on how to form and carry out professional daily habits. “He brings us a physicality and presence that, really, none of the other guys really have,” coach Michael Malone said. “He is a lob threat on offense and he’s a rim protector on defense. On top of that, he’s a very skilled and capable playmaker.